The obedience of disobedience. 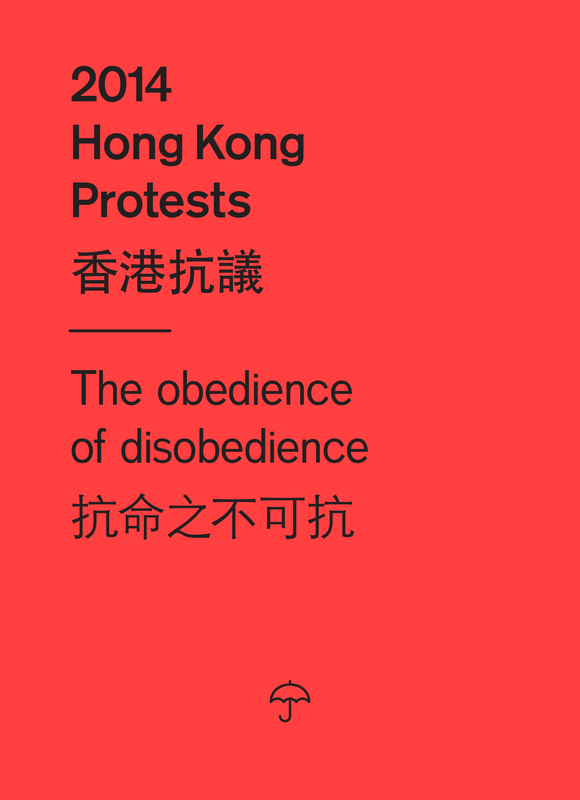 In November 2014 an initial research was conducted on the Hong Kong protests of that same year and how they might differ from other protest-sites throughout the world. Download the research document below. 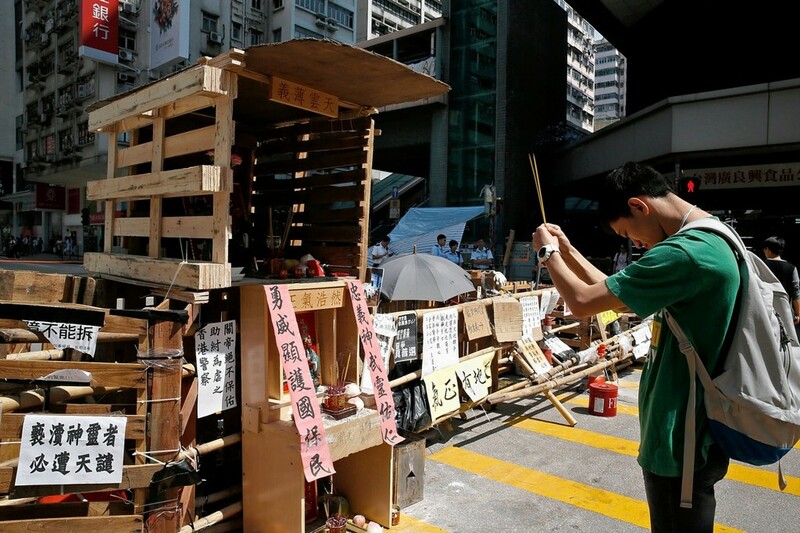 In the fall of 2014 Hong Kong was the site of large scale civil disobedience and revolt. A process that is ongoing at the moment of researching this ‘guide towards an understanding of the civil unrest in Hong Kong’. On September 22 Hong Kong students started protesting against decisions made earlier by China’s Standing Committee of the National People’s Congress (NPCSC). The temporary temple for Guan Yu, an important figure for the protesters, police and triads. A few days later, September 26, a large group of demonstrators led by Joshua Wong occupied the square in front of the Central Government Complex — popularly called Civic Square. Since this once open area was barred from public access earlier that year, the protesters had to breach security barriers to reclaim the site. The police mobilised on Civic Square, surrounded protesters at the centre and prepared to physically remove the protesters overnight. Continuing on September 28 the Occupy Central with Love and Peace started their campaign by blocking high-traffic routes near Admiralty. The amount of protesters took flight, peaking at more than 100,000 participants, reacting on the events when police forces used agressive tactics and tear gas to disperse the gatherings. From this point on, not only Admiralty, but also Mong Kok and Causeway Bay were areas subject to occupation.